If you would be interested in participating in future Merlin Events such as this please register your interest using our contact form to the right. Wow, what a treat to meet so many wonderful, lovely people that all shared the same passion for playing music including The San Francisco Scottish Fiddlers. We were all a bunch of kindred spirits that as Alasdair suggested play your instrument from the heart! The weekend kicked off on Friday evening with registration, dinner and a session afterwards with the local folk club. This was an excellent opportunity for everyone to meet. On Saturday Iain and Alasdair Fraser kicked off the teaching with learning some beautiful new tunes by ear. Our participants also had an afternoon workshop with the extremely knowledgeable and talented local musician and border piper Matt Seattle. On Saturday evening we were joined by local musicians from Kelso and regulars from the Monday night session in the “Canon” in Jedburgh. We had a fabulous session around the bar and our wonderful Singing Tutor, Kathy Stewart-Kennedy led a song session in the Dickson Room. On Sunday we were joined by our Guitar Tutor Graeme Armstrong along with Iain and Alasdair. Great fun was had arranging tunes/songs, ready to perform at the Sunday Concert. 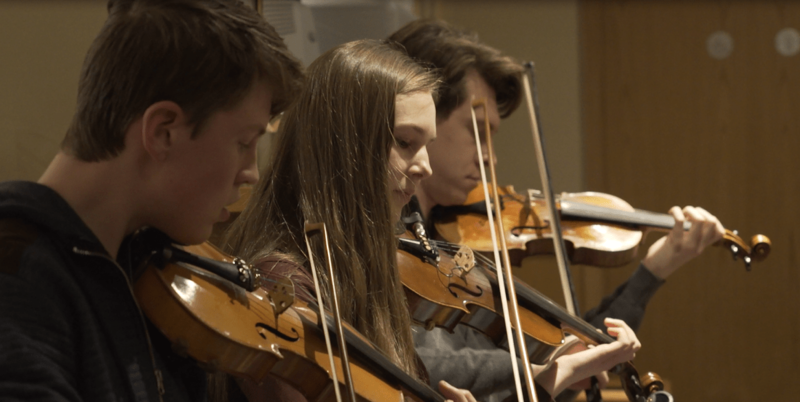 The concert on Sunday was open to Merlin Students and friends and families of the performers and wow, what a concert, absolutely stunning tunes and performances. 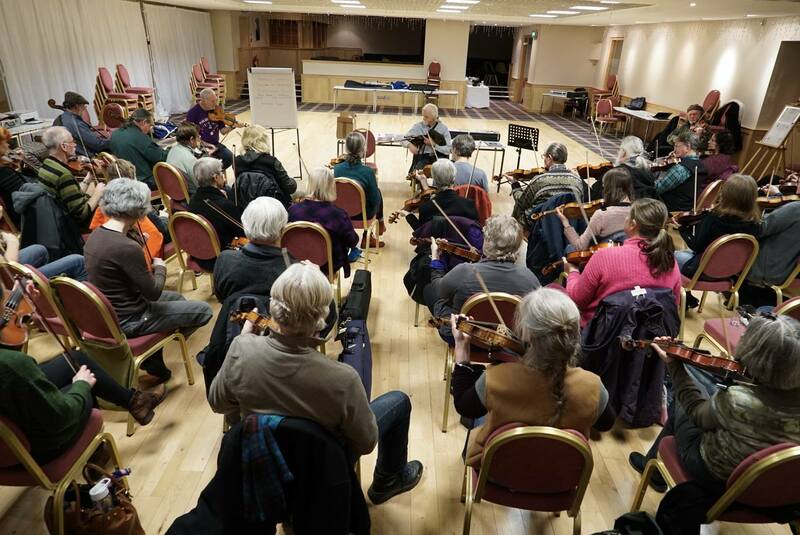 The Merlin Fiddle weekend was a huge success mainly due to all the wonderful tutors involved and participants who were so passionate about learning and playing some new tunes that were all taught by ear. A huge thank you to Alasdair Fraser, Matt Seattle and Graeme Armstrong for making the Merlin Fiddle Weekend a wonderful weekend of learning, music making and playing so much fun. Thank you to everyone that made this weekend so special and for all your passion and enthusiasm. I am sure many friendships were formed and will continue to flourish through music.